At VHB Roofing, we pay attention to every detail while working on your roof. Before we start repair and new underlayment, we inspect every inch of your roof. Why do we do this? 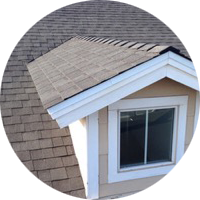 Because your roof is such a crucial part of your home and keeping your home free from additional damage or issues. 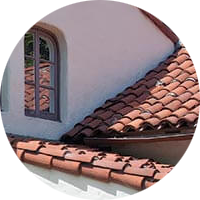 We specialize in shingles and tiles because these are the two most popular materials used on roofs in the greater Phoenix area. We take great care in knowing these two materials as well as we can so we can provide superior service, installation and repair. We also specialize in underlayment because quality underlayment is the foundation of a superior roof. Other roofers might be less detail-oriented with underlayment, but we don’t skip anything. We guarantee underlayment that is of the highest quality, both in the product and the service we provide. VHB Roofing&apos;s mission is to provide you with the most cost-effective roofing solutions that are unmatched in quality and safety. We value your needs, time, and money. Deal directly with the owner throughout the entire process. No payment is required until the job is complete and you the owner are 100% satisfied. Our experienced team works tirelessly to make your roofing project as worry-free as possible. Click here to read more about VHB Roofing.